A man is in hospital with life-threatening injuries after being hit in a "deliberate" hit-and-run crash, police in Derbyshire have said. 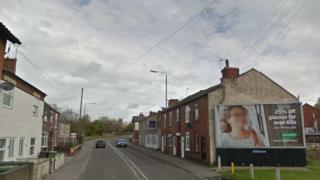 The 27-year-old was hit in Derby Road, Ripley, at about 02:00 BST on Saturday. A spokesman for Derbyshire Police said officers believe a silver Audi A4 was involved, and asked the public to report any similar cars in the area that have suffered damage. Witnesses and CCTV footage are also being sought.